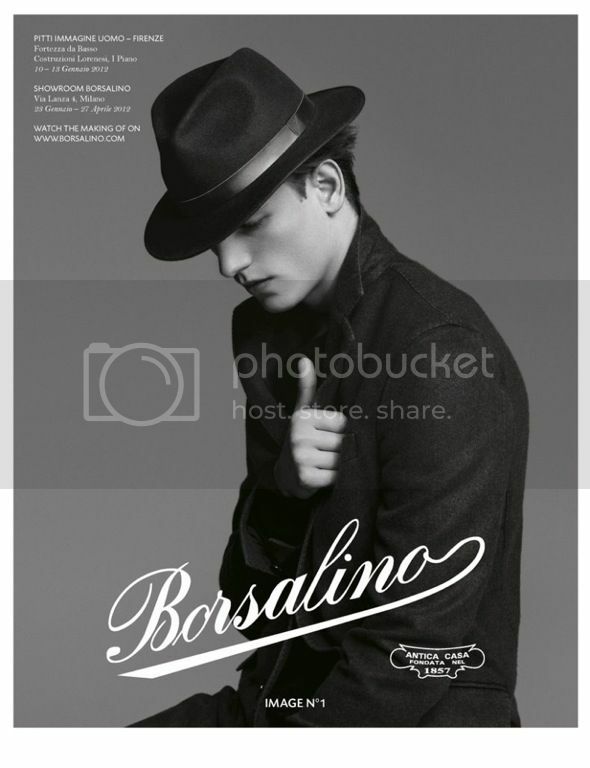 Last December, I had the amazing opportunity to work at Borsalino's campaign and video. 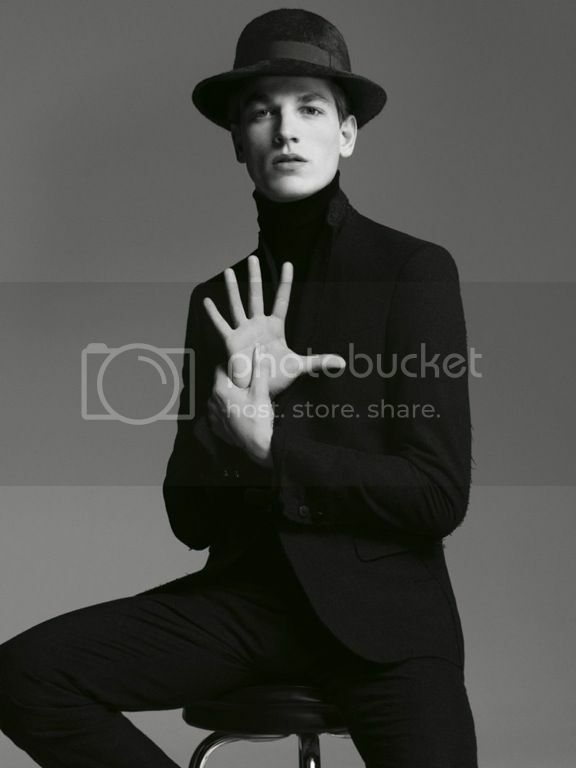 The campaign is made by black and white portraits by Emilio Tini. 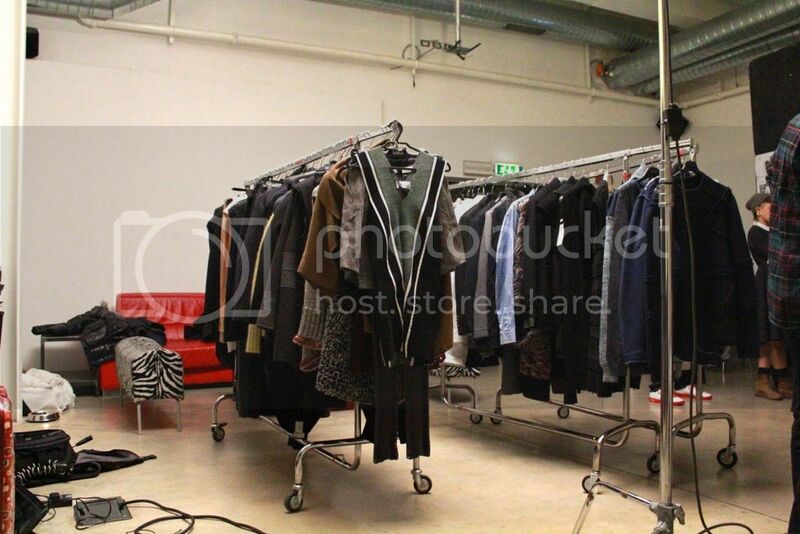 The models are dressed with Paolo Errico and other designers' clothes. 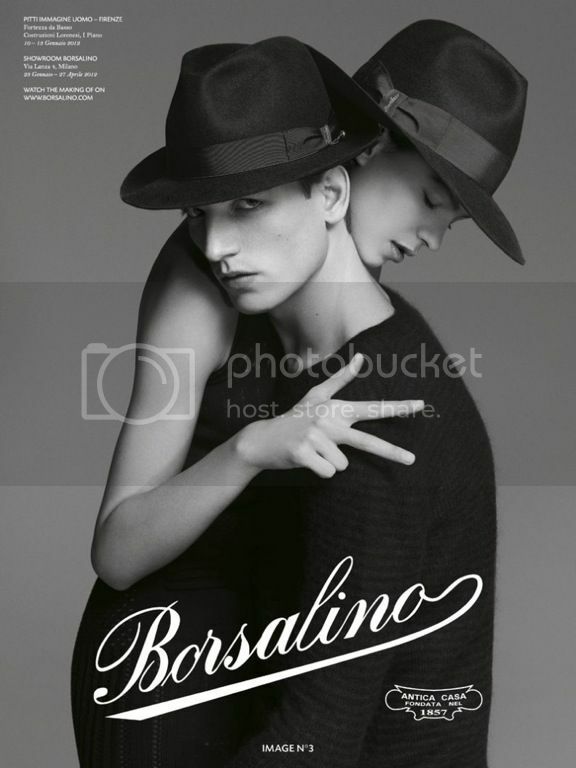 The main theme is a kind of "Borsalino has fun with numbers" and the models are shooted while they are counting with their fingers. 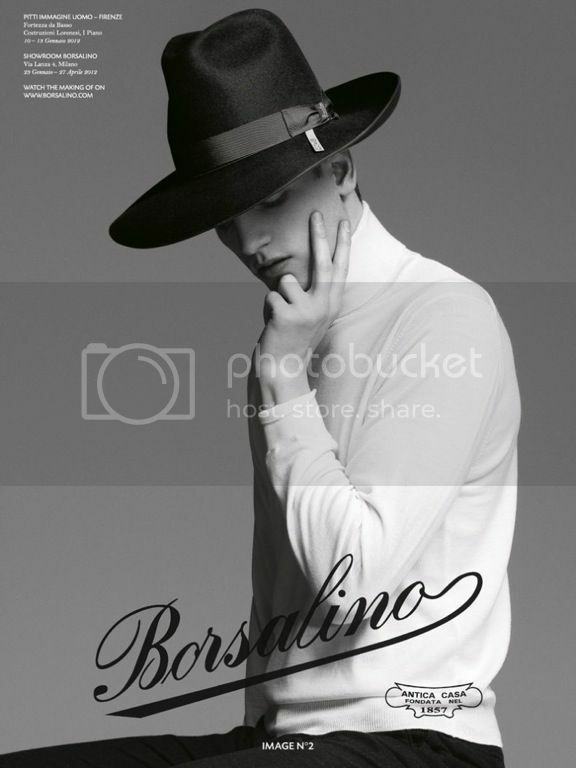 Borsalino means hat to me. 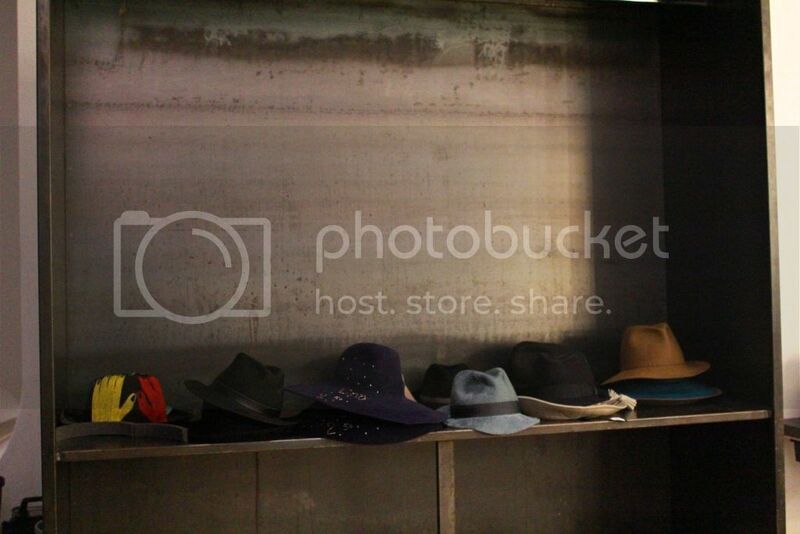 Is the hat, period. 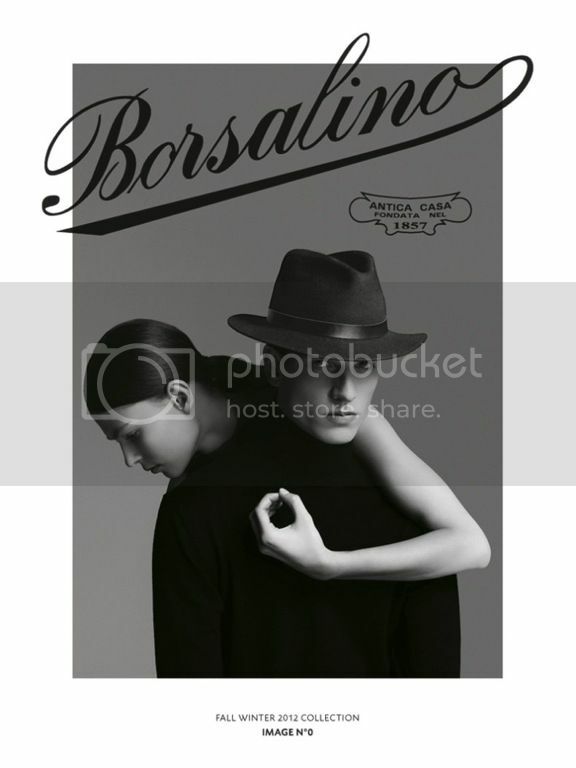 If a guy wears a Borsalino, for sure I'll notice him. If you consider the important role that Borsalino had in the film's costume hystory, you can clearly understand why this shooting was so important for me. 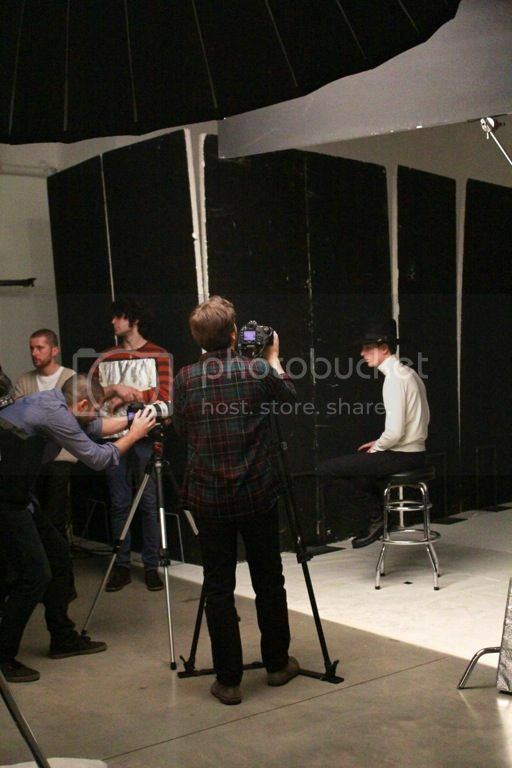 It was a one day - shooting, intense but fast. 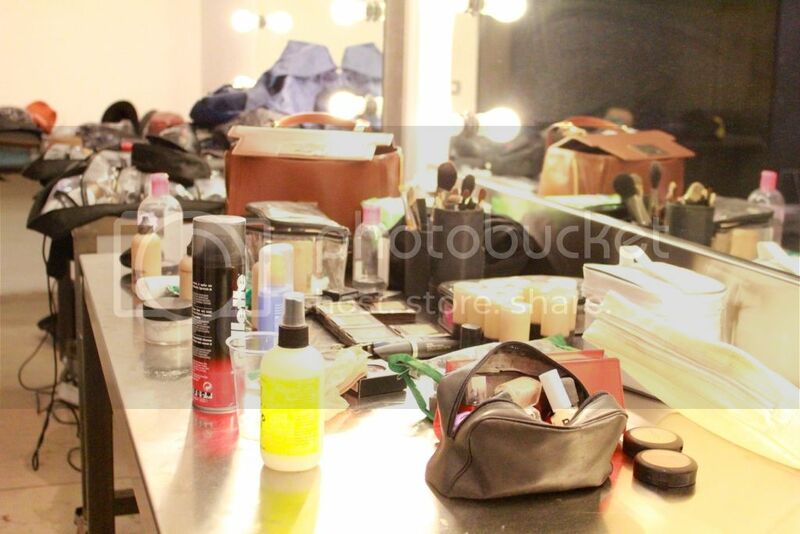 We finished around half past six pm, that is really early in the shooting world! The male model, Hugo Sauzay, is a french guy who is also a designer; backstage he asked me to vote for him on a design competition on Facebook. Such a clever guy and a good designer! Emilia Nawarecka, the female model, is a lovely, shy, young girl with an incredible body and a great skin (she almost didn't need foundation). The video is available on my FB page!